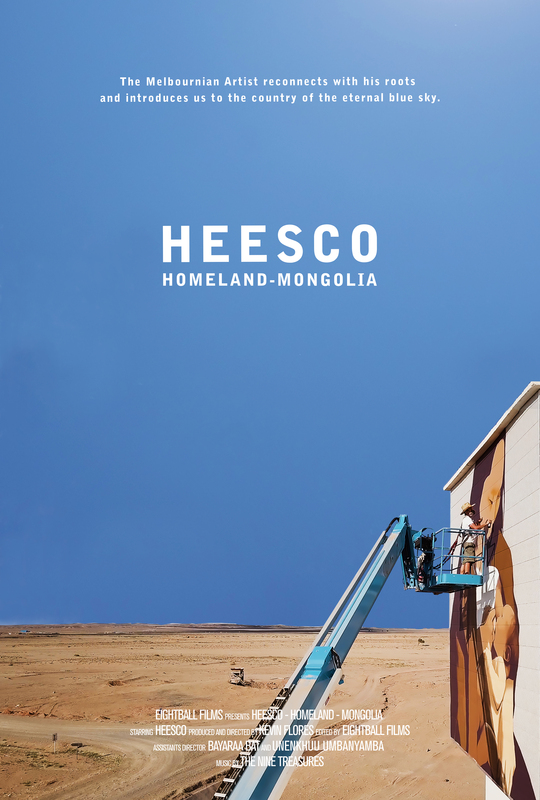 Homeland follows renowned Melbournian street artist, Heesco, as he travels through Mongolia and reconnects with his roots after living in Australia for 20 years. Heesco returns to meet a new generation of Mongolians shaping a new future for themselves in a country with great historic heritage but little experience of the global economy and democracy. At the core of Homeland is a human and touching story and rare insider’s look at modern day Mongolia as we follow Heesco’s own personal journey and growth. The world-renowned artist, known for his large-scale murals, uses this opportunity to bring his unique artistic style back home and find new inspiration as he takes his art around Mongolia. Through breath-taking landscapes and unique personal stories, Homeland offers an exclusive look at the country of the eternal blue sky.